From the land of Angry Birds comes a new meditation app for people looking for relaxation and happiness. Eternitas Publishing brings you a first-of-its-kind Feel Good App on the iTunes App Store. Blissify Me – the guided meditation game, helps players relax and cultivate positive states of mind. 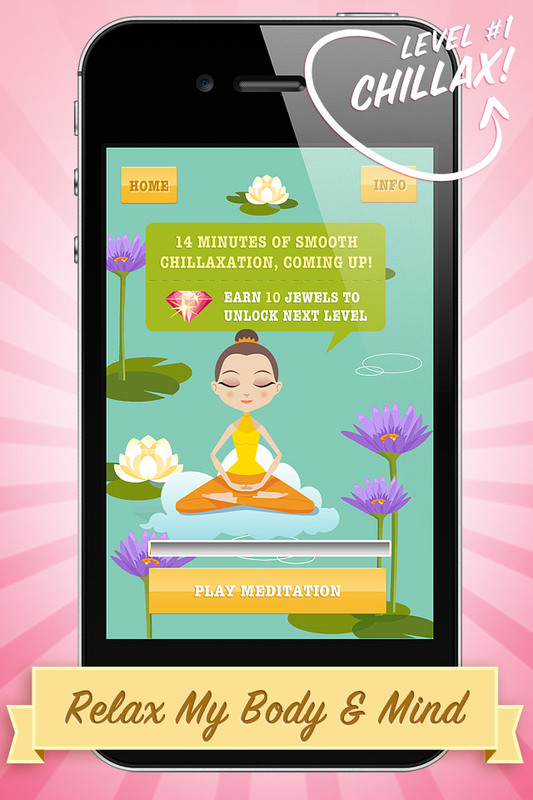 Blissify Me combines modern technology and ancient wisdom to bring a fun meditation experience to the player. 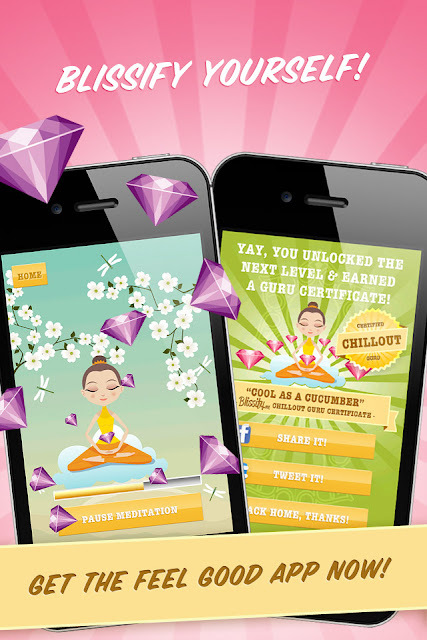 Players earn virtual jewels for meditating and unlock lucky charms as rewards. When a player earns enough jewels she unlocks the next progressively more advanced meditation. This feature secures a smooth learning process and the players learn needed foundation techniques before continuing with more advanced meditations. “People new to meditation have loved the game twist. By turning the learning process in to a game you get an addictive layer to the meditation experience. Meditation can be awesome,” Christian comments. The concept is super simple; you relax and cultivate positive emotions. When in a good mood you interact at your best with the world. “It’s a rare game that leaves the player in a better mood, relaxed and contributes to their health. We’re on a mission to facilitate happy, harmonious and mentally fit people. Happiness is a choice and you can cultivate it with the right activities and decisions. Millions of people meditate daily for increased clarity, stress relief, heightened awareness, performance, and health benefits,” concludes Christian. Thanks for featuring Blissify Me :) Love your blog!